Your review is for this website only. Call the Social Security Dept directly to ask a question. I have been in public service for 30 years, first as a public relations professional than as a public school teacher. I know what it is like to deal with the public, and the necessity of being both both patient and professional. Today, my experience with your representative L was one of the singularly most unpleasant encounters in recent memory. I was told by a social security representative this morning by phone, that I could complete my Medicare application online. They walked me through it by phone, because I did not have a password to do it online, and then informed me that I could proceed to the local office to present my W-2, and my ID and be interviewed in order to complete the application. Apparently, I was badly misinformed and the SS representative I spoke with by phone was a completely incorrect according to Ms. L. According to her, no application for Medicare can be filled out with assistance by calling social security. Fine, but she informed of the above in the most insulting and derisive terms. She treated like I was a complete idiot, or a child, at one point saying, "Don't say another word about your phone call!" She didn't have the courtesy to answer my questions. She gave me the option to make another application online in the Boca office, even though I told her I was having a password issue. Her reply, "You can do it without a password," is completely incorrect. It requires a SS password to make the application. I left more confused than ever and considerably upset. There is no cause to treat another human being so unkindly and disrespectfully. Perhaps you need to screen your employees more carefully. People come there to receive help, not abuse. 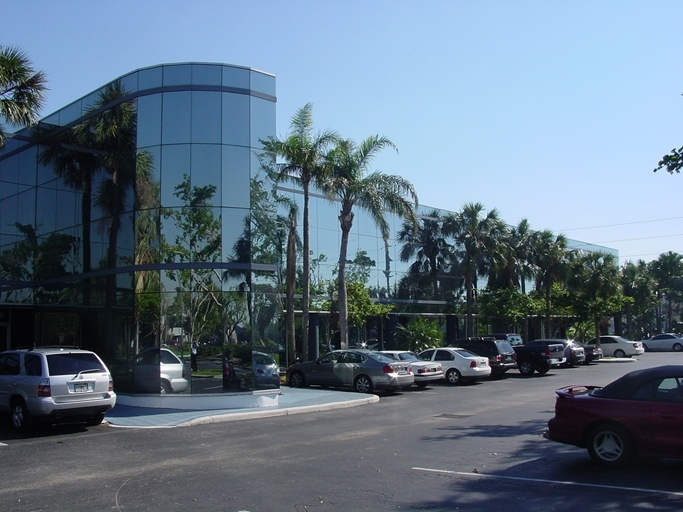 The office personnel at the Boca office are friendly and very helpful. I've done both scheduled and walk in appointments. For scheduled appointments I have to wait for at least 50 minutes on the phone for SS to give me an appointment about 1 month or more hence. (They don't always give you a call back option.) For a walk in appointment, my drive to the office is short, I arrive at least 30-45 minutes before the 9am windows-open time to get my walk in ticket, then wait about 30 minutes to be called. All the staff are pleasant, and I get my questions answered and in writing right then. One major improvement to the process would be online appointment registration or a local office phone number to schedule appointments. Have a simple question. Called main number, told 90 minute wait. So then tried to make appointment, and then saw have to call the 90 minute wait number to do that. why can't i make an appointment online? You operate in the dark ages! I waited 1/2 hour to fix a wrong address on a social security number.There was a large line, but I got a number. They were organized and I was out of there in only 1/2 hour. I would recommend going to this office. 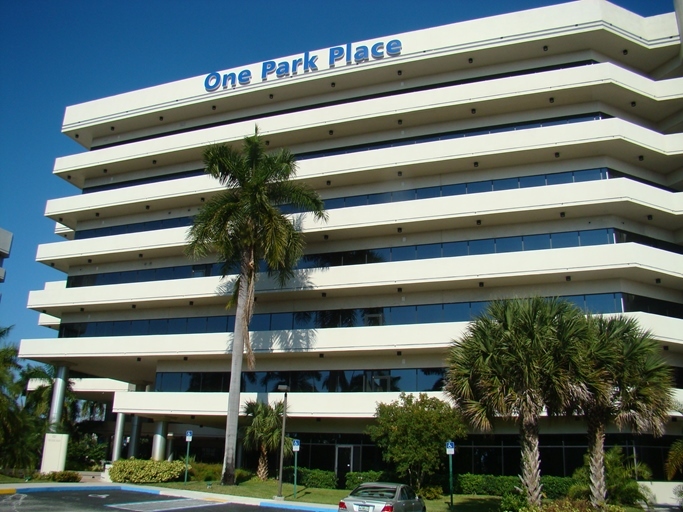 OFFICE IS LOCATED NEAR THE NE CORNER OF CONGRESS AVE AND YAMATO ROAD (NORTH OF YAMATO ROAD JUST WEST OF I-95) IN THE ARVIDA PARK OF COMMERCE OFFICE COMPLEX - ONE PARK PLACE - 7-STORY BUILDING ADJACENT TO THE EMBASSY SUITES HOTEL. If you are applying for SSI, you can complete a large part of your application by visiting our website at www.socialsecurity.gov. You also can call us toll-free at 800-772-1213 to ask for an appointment with a Social Security representative. Parents or guardians usually can apply for blind or disabled children under age 18. In some cases, other third parties can apply for children. You should bring certain items when you apply. Even if you do not have all of the things listed below, apply anyway. The people in the Social Security office can help you get whatever is needed. payments electronically. Payments may be made via direct deposit, the Direct Express® card program or an Electronic Transfer Account. For more information, visit www.GoDirect.org. 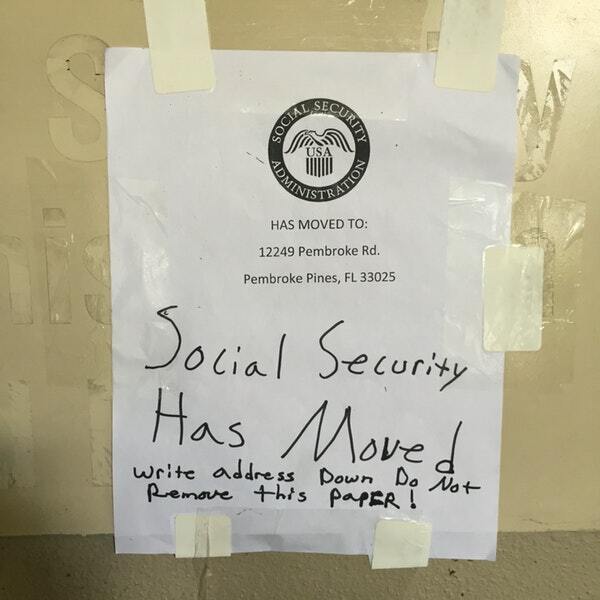 Mail or take the documents to this Social Security office. Monday-Friday: 5 a.m. until 1 a.m.
Saturday: 5 a.m. until 11 p.m.
Sunday: 8 a.m. until 10 p.m. Holidays: 5 a.m. until 11 p.m.
1. Learn what documents you'll need to get an original, replacement, or corrected Social Security card, whether it's for a child or adult, U.S. citizen or noncitizen. Documents List. 3. Social Security cards aren't processed online. Print your application and find out where to take it in person or mail it. Contact the agency. The paying agency will provide you instructions on how to file a claim File the claim with the paying agency. (800) 772-1213. Pays benefits based on financial need. Public social insurance programs that replace income lost because of a physical or mental impairment severe enough to prevent a previously employed person from working. Monthly cash benefits are paid to the eligible individual with a disability and his or her eligible dependents throughout the period of disability. SSI benefits also are payable to people 65 and older without disabilities who meet the financial limits. People who have worked long enough may also be able to receive Social Security disability or retirement benefits as well as SSI. How do I apply for a replacement Social Security number card? There is no cost to obtain a free or new Social Security Card. Get an application at this web link: https://www.ssa.gov/forms/ss-5.pdf. Then, either mail in your application or visit your local office. Try to make an appointment before visiting your location Social Security Office. How do I change or correct my name on my Social Security number card? If you legally change your name due to marriage, divorce, or any other reason, you need to go to your local office. How do I apply for Social Security retirement benefits? It is recommended that you apply for retirement benefits three months before you want your payments to start. Applying online at https://secure.ssa.gov/iClaim/rib. One or more of the following documents may be needed in order to apply online. The end of the online application will provide instructions on where to submit them. The documents we may ask for are: Original birth certificate or other proof of birth [more info] (You may also submit a copy of your birth certificate certified by the issuing agency); Proof of U.S. citizenship or lawful alien status if you were not born in the United States [more info]; Copy of your U.S. military service paper(s) (e.g., DD-214 - Certificate of Release or Discharge from Active Duty) if you had military service before 1968; [more info]; and Copy of your W-2 form(s) [more info] and/or self-employment tax return [more info] for last year. I see a problem with a listing, who do I contact? If you see a listing problem please just contact us through the comment form below. How long will it take to get a Social Security card? The Social Security Administration will mail your Social Security card as soon as they have all of the necessary information and have verified the appropriate documents. Generally, you will get your card within 10 business days from the date on your receipt. How long would it take to get by mail my Disability Benefits Award Letter? An award letter, AKA award notice, is what shows that a claim for benefits has been approved. The Award letter is usually mailed to the recipient within a few months of Social Security approving their benefit application. 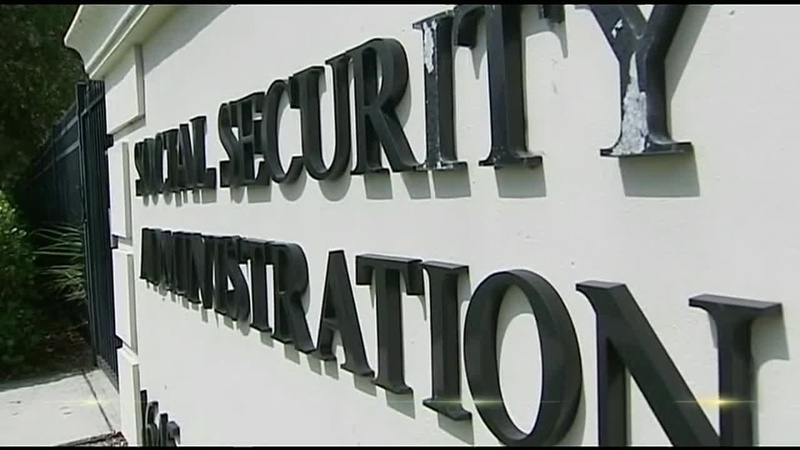 The Social Security office does not have an established deadline for mailing the award letters. Some claimants will get their letters even after Social Security has issued their first benefit payment or earlier than that. The wait is longer if your case was decided on a hearing. Can I schedule, reschedule, or cancel an appointment with Social Security, through your website? No. We do not have direct contact with any of the offices listed on our website, we only provide the locations with the contact information, you must call them directly. If I give you my Social Security Number and personal Information, can you check the Status of my case or check my application status? No. We do not have direct contact with any of the offices listed on our website, we only provide the locations with the contact information, you must call them directly. We strongly advise that you do not provide your Social Security Number or personal information through this website or any other website. Contact your local Social Security office directly in order to obtain your case status or for more information.